Build this home on your lot or ours!!! The Wilton offers an open floor plan with 3 ample sized bedrooms downstairs and 2 upstairs. This floor plan is perfect for the family who likes to entertain. With a large family room and kitchen, this plan has plenty of room for everyone. Upstairs boasts a large play/media room with wet bar, beverage sink and quartz counter tops. The kitchen comes complete with stainless steel appliances, quartz counter tops, upgraded painted wood cabinets and trending hardwood floors throughout the first floor. With ceramic tile backsplash and under cabinet lighting, the kitchen leaves nothing to be desired. Upgraded ceramic tile floors in all baths and utility rooms make it ready to move in. The master bath comes complete with zero entry ceramic shower with seat and seamless glass door. Luxury awaits! Also the rear covered porch comes with stamped concrete, exterior grill and fire pit upgrade. DETACHED 2 CAR GARAGE has more storage above! Come and see this beautiful home for yourself! The builder is offering $7500 towards free options with the use of Towne First Mortgage! See Sales Rep! THIS MODEL IS UNDER CONSTRUCTION- COMPLETE LATE SUMMER 2019. Please, send me more information on this property: MLS# 1900657 – $832,689 – 13181 Luck Brothers Drive, Ashland, VA 23005. 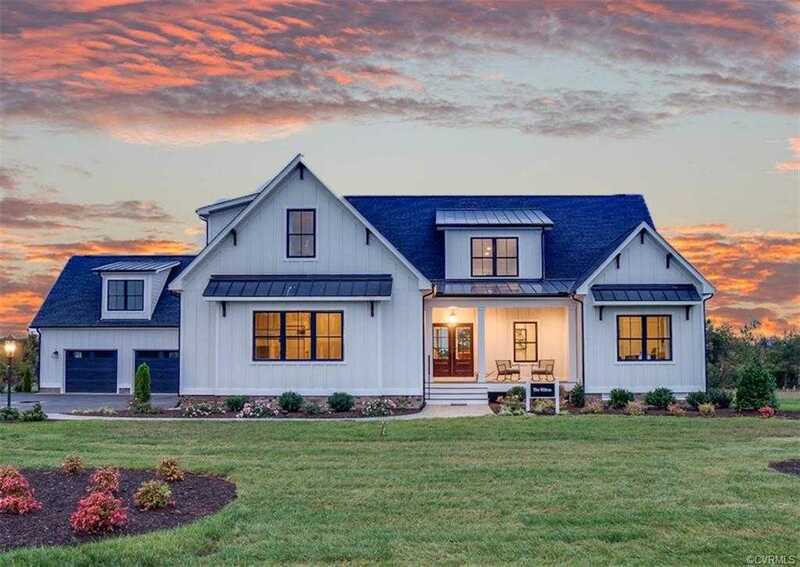 I would like to schedule a showing appointment for this property: MLS# 1900657 – $832,689 – 13181 Luck Brothers Drive, Ashland, VA 23005.